Thief and con-man extraordinaire, Locke Lamora, and the ever lethal Jean Tannen have fled their home city and the wreckage of their lives. But they can't run forever and when they stop they decide to head for the richest, and most difficult, target on the horizon. The city state of Tal Verarr. And the Sinspire. ...but Locke's perfect crime is going to have to wait. Someone else in Tal Verarr wants the Gentleman Bastards' expertise and is quite prepared to kill them to get it. Before long, Locke and Jean find themselves engaged in piracy. Fine work for thieves who don't know one end of a galley from another. After the masterpiece that was The Lies of Locke Lamora, I wasn’t expecting this sequel to top it. Sequels rarely do, especially when the first book is just so flawless that nothing can improve it. And that’s probably the best way to go into Red Seas Under Red Skies. I loved it. I wasn’t underwhelmed. I didn’t expect too much. It’s simply a fantastic fantasy book about people who are essentially ex-crime lords and, oh, some women who could technically be referred to as PIRATES. 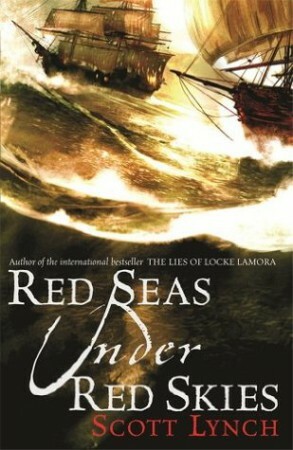 Red Seas Under Red Skies does a marvellous job of building up and expanding the world that we’re introduced to in The Lies of Locke Lamora. In this sequel, we see more cities and come across different world (or, rather, city) leaders, and we also see the ocean. Because in Red Seas Under Red Skies, Locke and Jean become PIRATES. Yes, I will probably continue to capitalise that word. So anyway, all of these female PIRATES are introduced and they’re badass. Locke and Jean… not so much so. They’re not great at sailing the seven seas. But, luckily, we have an awesome female captain and her second who kick them into shape. Red Seas Under Red Skies also looks into Locke and Jean’s relationship a lot more. As the world continues to expand, Locke/Jean does too. And if you’re not a shipper then that’s fine, you can view it as a platonic best friendship all you like. But, if you’re reasonable, like me, and ship the hell out of both of them, then you can revel in their love because they are legit the OTP of the entire series and nothing can tell me otherwise. JEAN LOVES LOCKE AND LOCKE LOVES JEAN. This review took quite the turn, but just know that Red Seas Under Red Skies is hilarious, witty, feminist, and simply brilliant. 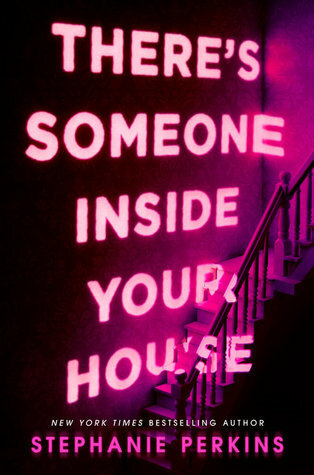 I’ve fallen even more in love with Jean and Locke, and I will definitely be rereading this series when I find the time. Hopefully before the fourth book comes out next year! When you can’t cheat the game, you’d best find a means to cheat the players.